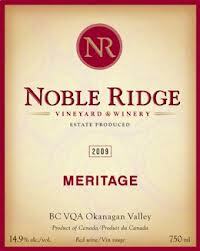 This was one of a dozen I bought in Sept. 2012 in Okanagan (went to 22 wineries in two days). I opened it about six months ago (it was the cheapest I had on hand) and wasn’t thrilled. It was okay, but I didn’t want to run out and replace it. It’s about $29 at private stores in Victoria.